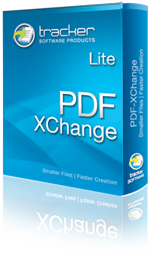 PDF-XChange 4 Lite is our simple and easy to use solution for creating Adobe compatible PDF files from virtually any Windows application, the list is endless. PDF-XChange 4 Lite acts as a virtual printer, but instead of the output going to paper in the conventional manner, it is captured and re-directed to create a fully compatible,text searchable, Adobe compliant PDF file (subject to the source material being selectable – image files remain non text searchable). PDF-XChange 4 Lite is a simplified version of our Standard printer driver - offering the same ‘industrial’ strength PDF creation engine shared by all of our PDF creation tools. This is ideal for home users, small business, and all those requiring a simple yet highly efficient way to create PDF files using our award winning PDF technology to create the smallest PDF files available from any Windows based software application. Browse through the help pages by clicking on the icons below or selecting pages in the table of contents to the left. To quickly find specific product information, enter search criteria in the search box above and click the search button.